The headwaters of Florida's Everglades are the lands and waters that drain south into Lake Okeechobee. The Everglades are known as one of the USA's greatest natural wonders, but most people only know about its southernmost end. 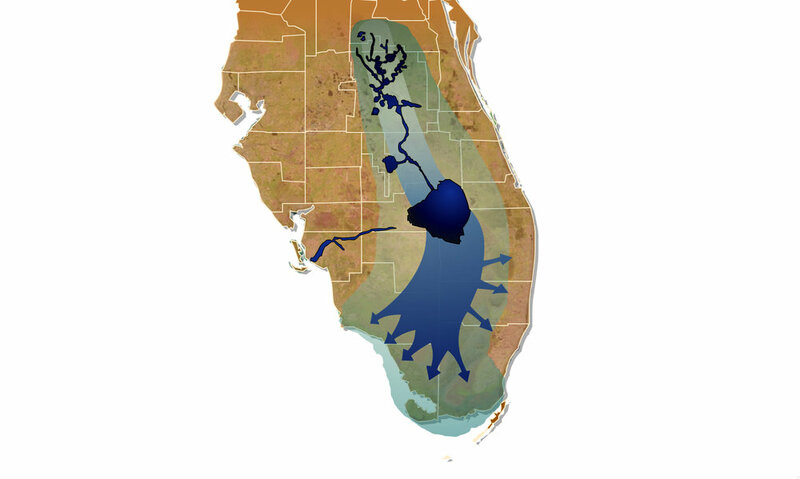 This map of historic waterflow shows us the extent of the original Everglades, called the Greater Everglades System. The headwaters region is the area north of the lake. Much of the Everglades have been drained and rerouted through ditches and canals. Areas that were once wetlands are now dry lands good for agriculture and homes. Yet even now the headwaters region still supplies the Everglades its water. Water is also now diverted to the east and west coasts, incorporating them into the Greater Everglades System.